Click the button below to add the RADIANT TURN COORDINATOR to your wish list. CURRENTLY OUT OF STOCK. ORDER NOW FOR SPRING DELIVERY. Resets from any aircraft upset position. The RADIANT Turn Coordinator provides a visual indication of turn rate along with a visual indication of slip / skid, utilizing an ultra bright, daylight readable color LCD display. In comparison to all other Turn Coordinators, this unit also provides a digital indication of degrees per second in the turn. It is also inexpensive, at $299.95. 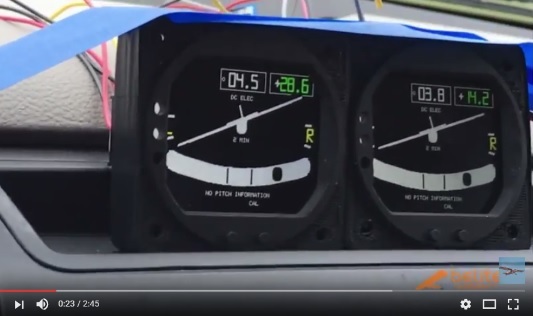 Any pilot who has ever wanted to add a turn coordinator to an experimental aircraft panel has been put off by the complexity, weight, reliability, and price of traditional electric or vacuum units. Our new product solves all these problems. 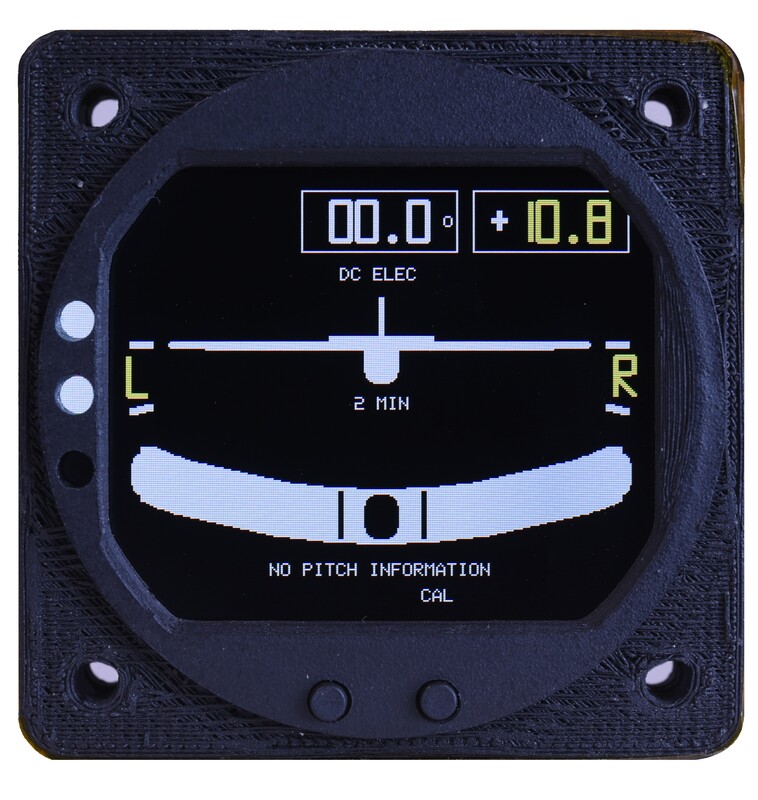 It utilizes a solid state gyro and accelerometer; it weighs less than 2 ounces, it attaches to any aircraft ship power system, and it allows for easy in flight calibration at the push of a button. The unit graphic design looks exactly like existing turn coordinators, so there is no learning curve for the pilot. Also, unlike some products, the unit's gyro will stabilize even if brought to power under aircraft upset conditions. 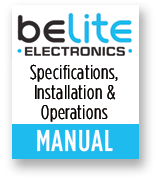 This is the first avionic product from Belite which is also compatible with 28V aircraft electrical systems. The internal power regulator has been designed to withstand transients to 60 volts. This instrument shows inclinometer and turn rate. All instruments are designed for a standard 2.25” cutout, and use approximately 100milliamps of power from a supply of 8 vcolts. All instruments are dimmable. Really sweet instrument for inflight turn & bank indication. Also fun for a real car enthusiast -- something completely different. Uses a gyro to detect turn rate. A very clever product. It's the perfect "partial panel" backup for my RV-12. Works as advertised, especially the ability to boot up cold while already in flight! I really like it. A turn coordinator has always been my backup instrument if you have a question with the Horizon. The engineering design, very light weight, self calibration and low power drain make this an impressive achievement. I am completing a two seat Zenith Zodiac 650B and this turn coordinator is the backup to the IPAD for VFR flying. I also plan to use the Radiant dual fuel gauge. 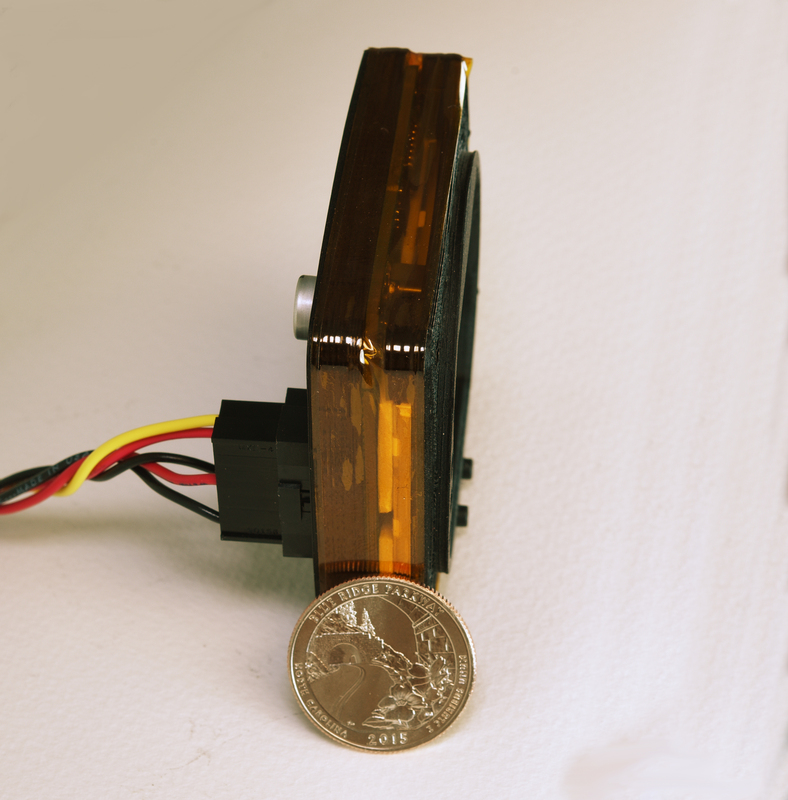 Would the addition of a magnetometer make an electronic vertical card compass for E-AB and ultralight aircraft? Keep up the great work on both instruments and ultralights!